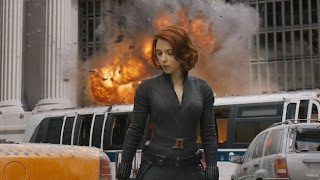 It is not often you can say this, but The Avengers is one $200 million-plus event flick where not a single cent has been wasted. The special-effects work is spectacular, especially during two truly awesome set-piece battle sequences. The first, aboard an airborne weapons carrier, is brilliant enough. The second, an all-stops-out skirmish on the streets of a busy city, will leave viewers gasping. Overall, The Avengers is a fist-pumping cause for celebration for comic-book hard-liners and action fans alike. BTW did you see it in 3D? I've never seen a film in 3D, and was wondering whether to make this my first one. I actually saw it in 2-D. I had the choice, but I still tend to prefer 2-D ... with 3-D at its current stage of development. But by all means give it a try (and please report back on the experience if you do). And again, I did actually enjoy it and would probably even watch it again. But I think it's flawed in ways that would make it a less attractive proposition to someone who is not already a fan of the characters. Judged by that standard, X-Men: First Class, for example, seemed to me to be much better. But as I said in a discussion on Facebook earlier today, I had that lump-in-the-throat feeling at times while watching The Avengers. But then again those times tended to character beats that would be much less meaningful for someone who is not already a fan of Iron Man, Thor, Black Widow, etc., etc. X-Men: First Class was pretty awesome but in my opinion was on par with the Avengers. By the way, I saw it in 3D. I think it probably heightened the experience but not by much. I agree entirely. There again, The Avengers was reasonably true to what I remember of the comics, i.e. all about the big, sprawling set-piece battles. And it was pretty enjoyable, on its own terms. "an all-stops-out skirmish on the streets of a busy city"
A what what in the how, now?